Ironically, the new wave of technology is facilitating our return back to self ~ whether it be to encourage sleep, mindfulness, physical activity, or nutrition, for example. Modern life tends to be a fast paced journey with unexpected twists and turns. Gone are the days of consistency and routine. Most people are no longer at the direct behest of war, famine, or environmental disasters ~ what is left is a daily roll call of chop and change, perforations of time and space. 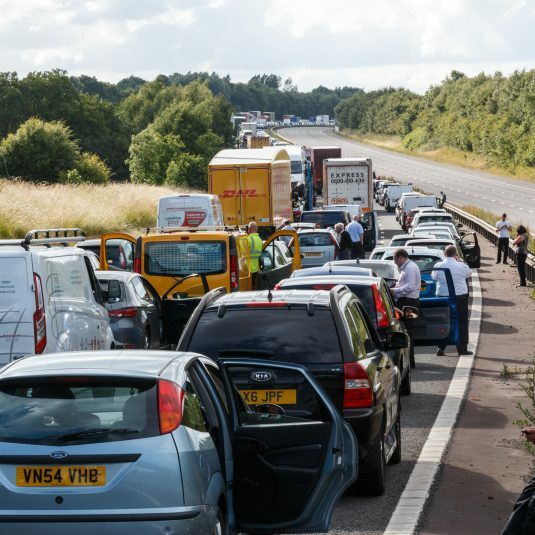 Your perfectly planned trip is delayed, there’s a jam on the motorway, the trams are down, the underground,,, let’s not mention it. The meal you ordered won’t arrive at the specified time because there are no drivers in your area, your friend’s read you messages though not replied, the software update on your phone’s more of a hindrance than a help, there’s a block of flats being built obstructing your garden views, the villa you booked for your group holiday’s just fallen through, the early night you planned won’t be happening because your neighbour has other ideas ~ and these are just some examples of relatively trivial and common daily uncertainties. Add a dose of uncertainty or destabilization regarding relationships, employment, health, personal safety, or your child’s education, and it’s easy to see how people can fall at risk. Though of course the little things can add up too, and at times we can feel helpless and overwhelmed. We are contactable at all times, living in greater proximity to one another, and so the notion of sanctuary is prevalent. The statistics for suicide in Japan (the second highest in a developed nation) remind us that wealth does not render us immune from emotional unrest. Financial pressures, a sense of bombardment by the myriad of things we each need to monitor and manage, alongside isolating technology are enough to offset the developments we’ve made. Many moons ago whilst using Tokyo as a hazard case study for Geography A-level (earthquakes, fires, tsunamis, floods, storms), it stuck with me that technology, alongside it’s contributing noise and light pollution were also considered as hazardous factors. It’s no surprise that at times the idea of control can become appealing. How do we reduce the scope for human error or interference in our endeavours? How do we meet deadlines and targets with factors beyond our control delivering curve-balls? How do we carve out some personal space? How do we escape? Technology provides havens of infrastructure which can help us to organise, to develop, and to cope. 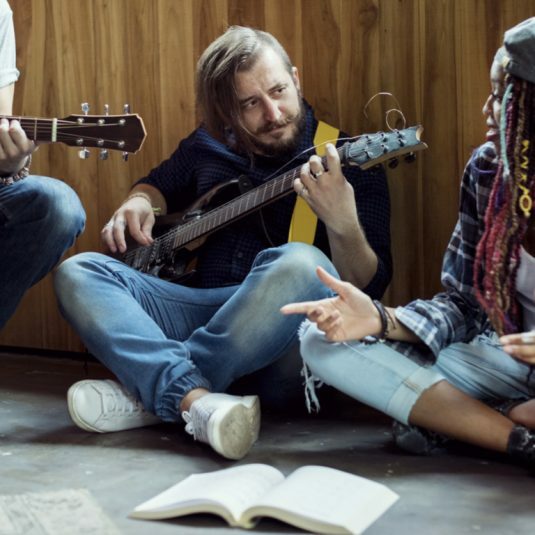 So as appealing as it may be to programme subservient band members, who’ll forever dance to our tune and never fall in love or get distracted ~ for interaction, intimacy, growth, and vibrancy, we’ll always require our fellow beings. There lies a clue in what we’re missing, the notion of human “beings”, and not human “doings”. 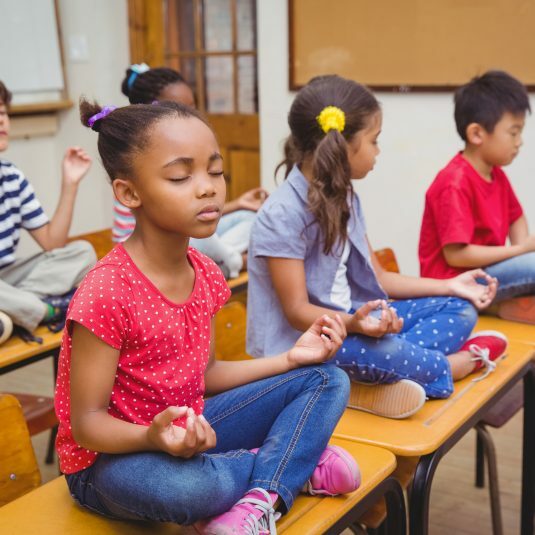 Meditation and mindfulness are increasingly taking centre stage in schools and workplaces to help alter our perspectives on pace, and to air more on the side of spontaneity and uncertainty than rigidity and routine. Ironically and increasingly, currently it is technology, gadgetry, and apps which are providing a gateway back to self with familiar and accessible interfaces to facilitate acknowledgment, awareness, rethinking, and retraining of our behaviours and propensities. In this Ted Talk, psychologist Guy Winch offers a unique and refreshing perspective on addressing and healing emotional wounds, in a world where rumination and analysis can ignite and embolden anxiety. Mindfulness involves acknowledging emotional pain and treating it with TLC as opposed to denial or punitive measures. As ever, the kindness and tenderness we begin to apply to ourselves we will eventually be able to afford to others. In time, these values tend to be extended to greater society ~ challenging the notion that consideration and support are finite resources which rely on the exclusion of our most disenfranchised. We’ll end with a clip from Flight of the Conchords for some comic relief. Happy New Year, wishing everyone a year of creativity, connectedness, and contentment ~ whatever your jam may be. We’re here to turn dreams into reality at 2M, facing challenging ideas with playful solutions. Contact us with your wish list, come join us for a cup of coffee, and let’s see where the journey takes us.